Electric heating pads can be used in many ways from personal heater for cold winter nights to making yogurt. 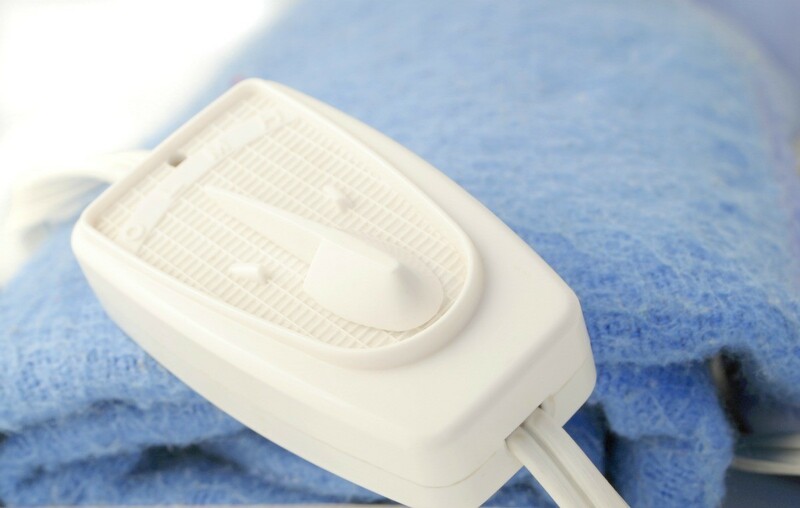 This is a guide about uses for an electric heating pad. I know a lot of my friends work in a cold, drafty office and they are always "freezing" at work. I have a very simple and heartwarming idea. I keep a heating pad at work and it works wonders for any aches, pains, or simply cold/chilly feet. It's easily out of view plugged in under my desk or sometimes draped over the back of my office chair with a sweater over it. Those small office heaters are typically not very economical or welcomed by management due to the risk of fires. Some offices are not allowed to even have the heaters due to fire regulations enforced by fire marshals. The heating pad can be unplugged easily and stored out of sight. On a chilly day, the heating pad over your feet can warm you up all over and put a smile on your face. Use a heating pad on "low" to warm your baby's crib before lying him/her down after you get him or her to sleep. But remember, be sure to check the temp with your hand before to make sure it's not too hot. This will keep the "cold" sheets from waking him or her. Two years ago I received one of those small electric heading pads from a friend for the holidays. He bought it because I normally used a hot water bottle and at the time this heating pad had just one purpose: to get rid of my terrible menstrual pains. Keeping warm sitting at your chair: Our house is quite cool in the wintertime as we keep the heat very low (oil is pricey!) and usually put sweaters on to keep warm. When I was home during the day between work contracts, I'd usually write at the computer and somehow the sweater just didn't keep me warm enough and the space heaters we had can use up quite a lot of electricity. I dug out my heating pad and placed it on my chair and sat on it for the day. Kept me so nice and warm and costs less than space heaters! Preheating your bed: We now have a wood stove insert downstairs and while the main floor of our house is warm, it can be quite a bit cooler upstairs. Getting into my bed feels like I've crawled into a refrigerated zone. I am not one of those people who get warm quickly, so I place the heating pad under the covers on high about 15 minutes before heading to bed. So now when I go to bed, it doesn't take me an hour to get warm and I am not shivering or have to wear thick socks. For tired or aching muscles: A heating pad applied to aching muscles will relieve the pain and work just as well if not better than painkillers. If you don't have time for a nice hot bath, the heating pad will work for you! Alleviating Menstrual Cramps: As I mentioned at the beginning of this article, this is so good to relieve menstrual cramps. I never take pills for the pain and have even brought it to work to use. I always used hot water bottles before this but found this to be easier to use and it stays hot as opposed to the hot water bottle which I had to refill several times during use. Bread Rising: When I want to make bread in the winter, I don't have a warm place in my house that I can leave the dough to rise. I can place this underneath the pad on lowest setting and put a few towels on top so the dough doesn't get hot but will provide some heat. I then cover the bowl with a blanket. This will help the dough to rise in my cold house. Beverage Warmer: Kind of a weird one but it's something I thought of yesterday when my partner saw one of those electric coaster-style beverage warmers at the thrift store for $4. Ok, maybe you don't want to use this at the office on your desk but at home just place the pad on high on the table and if you drink your coffee very slow like I do, just place your mug on top to keep it warm. Food Warmer: Sort of like the beverage idea but with food. If you're really "indie" like I am, you can even go as far as putting the pad on the dinner table and cover it with a decent looking tea towel and place a dish on top of it to keep it warm. You can also put your plate on there if you are not eating at the dinner table. Good for slow eaters. Car Seat Warmer: If the seats of your car don't heat up, plug this in and place on your seat (we have a plug in our car but you can also get adapters that plug into your lighter I believe). We have seat warmers and they are so nice in the wintertime. Again, kind of an "indie" idea but great if you don't wanna freeze in your car and have a long drive ahead of you. I've read of people's heat breaking in the car and not having money to fix it, this would be a frugal temporary solution. This would be a great gift which you can give with this list of things to do with it!